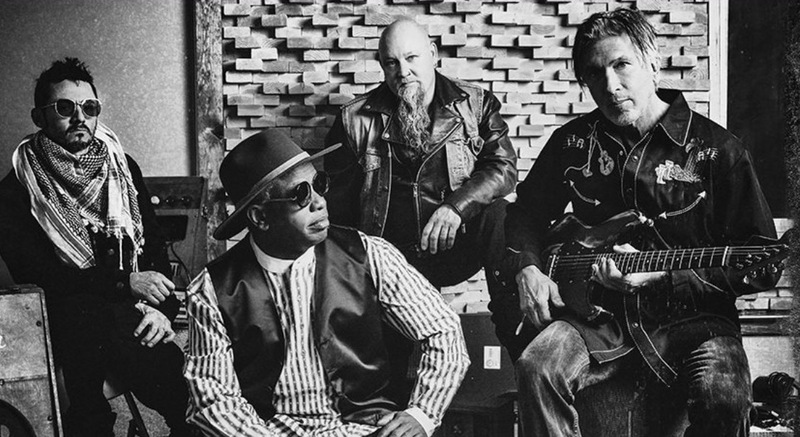 Want to spend some time with George Lynch, Corey Glover and their band Ultraphonix? Check out their videos here. The guys are joined by Chris Moore on drums and Pancho Tomaselli on bass and Ultraphonix has a new album, Original Human Music ready for pre-order. It’s the second music video from the Hollywood-based group Ultraphonix, comprised of some of the best players in rock music. Their debut album, Original Human Music is out Aug 3. The Ultraphonix music is an interesting blend of hard rock, reggae rock with a lot of spirit and soul. Each of the members of the band have extensive knowledge of music and do what they each do best, with an underlying and consistent base of funk.